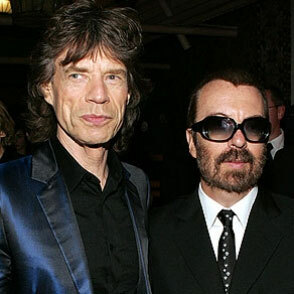 For the first time since the Rolling Stones formed nearly 50 years ago, Mick Jagger is part of a new band: Super Heavy – featuring Dave Stewart, Joss Stone, Damian Marley and Indian film composer A.R. Rahman. The band has quietly been recording together over the past 18 months, with their debut LP planned for sometime around September. "It's different from anything else I've ever been involved in," Jagger tells Rolling Stone. "The music is very wide-ranging – from reggae to ballads to Indian songs in Urdu." The group got its start two years ago when Dave Stewart called Jagger from his home in Jamaica. "I live in Lime Hall right above St. Ann's Bay," says Stewart. "It's kind of the jungle, and sometimes I'd hear three sound systems all playing different things. I always love that, along with Indian orchestras. I said to Mick, ‘How could we make a fusion?' We were talking about an experiment, and then we started talking about voices. It was all born from that conversation." Jagger loved the idea, and after lots of brainstorming and phone calls around the world, they settled on Stone, A.R. Rahman and Marley - whose rhythm section helped flesh out the band. "We wanted a convergence of different musical styles," says Jagger. "We were always overlapping styles, but they were nevertheless separate." About 18 months ago, the band gathered in a Los Angeles studio. None of them had prepared any music. "We didn't know what the hell we were doing," says Stewart. "We were just jamming and making a noise. It was like when a band first starts up in your garage. Sometimes Damien would kick it off and then Joss would sing something on top of it. We might have a 22 minute jam, and it would become a six minute song." The loose method was inspiring for Jagger. "One of the beauties is that, just speaking as a vocalist, I did other things," Jagger says. "I played guitar and harmonica, but there's four vocalist on the album. Not everything was reliant on me.” The band’s name came from some improvised vocals by Marley. "He was just singing 'Heavy, heavy, heavy, heavy, super heavy,'" says Stewart. "We thought that sounded good and it sort of stuck with us." Jagger is confident that Stones fans will embrace the group. "It is a different kind of record that what people would expect," he says. "It's not all weird and strange though. I think Stones fans will think it's a bit odd, but they'll find most of it accessible. They've heard me play harmonica before and a lot of it is pretty high energy." As of now, there are no plans to bring Super Heavy on the road. "We're experimenting at the moment and just taking it day by day," says Stewart. "I think if we're rehearsing and it sounds great and people love the idea then nobody would rule out the possibility of it." Might Jagger's other group be hitting the road at some point in the future? In an interview with USA Today, Keith Richards said he was optimistic. "Something's blowing in the wind," he said. "The idea's there. We kind of know we should do it, but nobody's put their finger on the moment yet. This is what we want to ask each other: Do we want to go out in a blaze of glory? We can, if Mick and Charlie feel like I do, that we can still turn people on. We don't have to prove nothing anymore. I just love playing, and I miss the crowd." When asked if the Stones are going to tour next year, Jagger just chuckles. "I don't have any announcement to make at the moment," he says. "I'm just, uh, ya know...just doing this right now." Click here for the original article at RollingStone.com.